Check out the graphic below to find out what white-nose syndrome is, how far it is spreading, and why it is such a concern for animal conservationists. New Hampshire’s Bat Population is still sliding – fast – thanks to the invasive fungus, White Nose Syndrome. “In 2010 we had some huge losses. It was really quite scary,” says Emily Preston, a biologist Fish and Game. Officials with New Hampshire Fish and Game have confirmed that bats infected with White Nose Syndrome have been detected in Rockingham County for the first time. 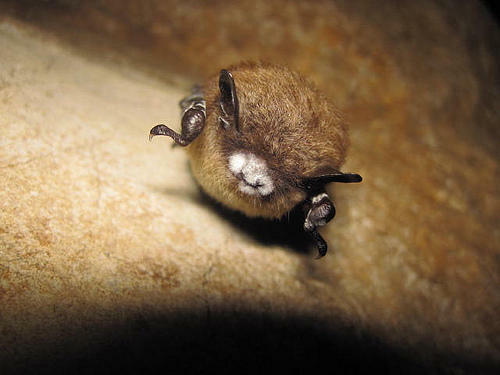 White nose was first detected on bats in Rockingham in 2010, but this March was the first time bats were visibly infected with the fungus. Fish and Game biologist Emily Brunkhurst says the disease has devastated bat populations in the Northeast. The Vernal Equinox has arrived! For one brief moment, everywhere on planet Earth, day and night are equal: 12 hours from sunrise to sunset and sunset to sunrise. The length of daylight compared to dark, is known as photoperiod. Seasonal changes in photoperiod trigger a lot of changes in plants and animals. Many plants are known as short-day species; they flower after the summer solstice when days are getting shorter. Plants that bloom in spring are known as long-day species. Here's a bird song we all recognize, the familiar crowing of, yes, crows, a species with many vocalizations. 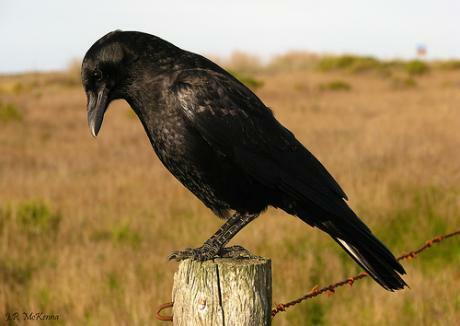 Crows are one of the most intelligent animals in the wild, and a lot of intelligent people have come up with theories to explain why.